Mercator is a UK based freight forwarder who can take care of all your shipping from China import requirements. We have been in business for over 25 years and have handled many different commodities from China over the years. Our service covers absolutely everything that you could possibly need when it comes to shipping from China, so you know that you can sit back and relax, knowing that everything is taken care of. 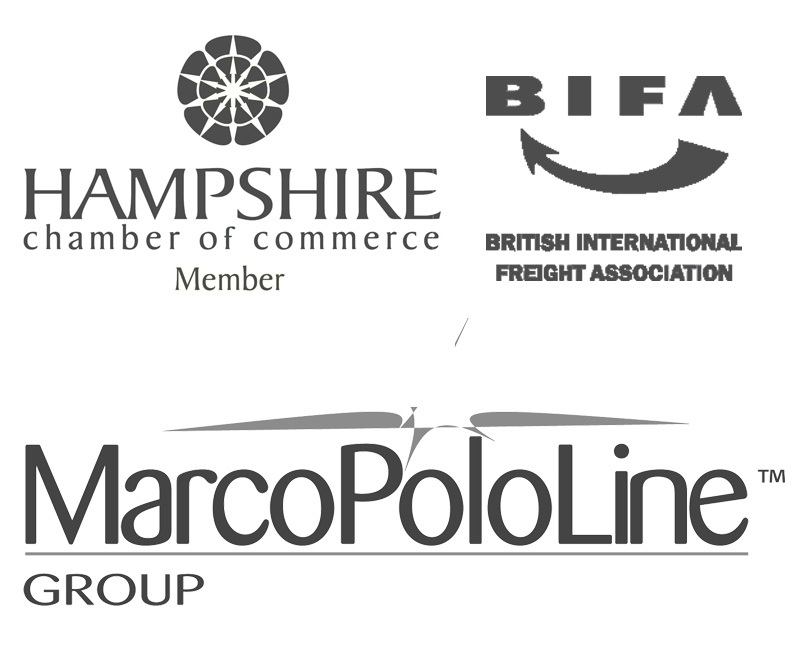 We have a freight forwarding partner in China, thanks to our founding membership of the global network MarcoPoloLine. Our agent in China will be able to assist with the Chinese side of the shipment, including Chinese export customs, loading, collecting the goods from your supplier’s warehouse and documentation. From here, Mercator will oversee the sea freight from China to the UK, UK import customs clearance procedures and even handle your payments to HMRC for any import VAT and duty payable. Our shipping service from China is comprehensive and efficient. There are regular sailings for sea freight from China to the UK from the main ports (including Shanghai, Ningbo, Hong Kong and Qingdao (to name a few)). Import sea freight generally comes into Southampton, Felixstowe and sometimes Grangemouth (which is a preferred choice if you are based in the north of England or Scotland). Transit times of sea freight from China to the UK varies between 22 days to 35 days (depending upon whether the goods require transhipping at another port and the number of calling points the schedule has). Our import shipping services from China range from less than container loads (LCL), pallets, full 20’ and 40’ containers, and containers for oversized cargo including flat racks and open tops. We are also able to take care of air freight shipping from China. There are daily departures from the major airports in China: Pudong, Shenzen, Fujian, Beijing and Hong Kong, all calling at London Heathrow. Air freight from China is much swifter than sea freight, however it is more expensive. We tend to only recommend air freight from China if the cargo being shipped is urgent, fragile or particularly small/lightweight. Air freight takes less than a day, but you will need to factor in a few days either side for loading, export customs, and then unloading and UK import customs. If you are purchasing goods from a China based supplier for a small shipment (less than a container load – LCL), we strongly recommend agreeing an FOB (free on board) INCOTERM. This will mean that your supplier will be required to ensure that the goods make it to the port and are loaded onto the plane or sea freight vessel. From this point onwards Mercator can handle the actual sea freight and UK customs clearance for you. If you choose EX works then you will have the responsibility for arranging (and paying for) collecting the goods from your supplier and delivering them to the port. Choosing a term where your supplier arranges the sea freight from China to the UK can be a bit risky, as we find many importers being presented with a large bill upon import which they were not expecting, there is more information available here. We can handle all commodities for import from China, over the years we have handled goods such as textiles, medical equipment, fashion accessories, glow sticks, stone, gym equipment, books, homeware, hardware and furniture from China. If you have an import shipment from China get in touch for a quote and/or to discuss INCOTERMs. The trade lane for exporting to China is not as high volume as importing from China, however, there is a demand in China for British manufactured goods. Our export services to China can cover all aspects of shipping so that you can let the experts handle everything and you can concentrate on your business. Our services cover picking up the goods from your site in the UK, delivery to the UK port, sea or air freight to China, and can even instruct clearance and delivery in China (via our partner agents based in China). We can arrange either sea freight to China or air freight. There are weekly sailings from the UK to China, and daily air freight departures. Please get in touch to discuss departure and arrival ports. Commodities for export to China that we have handled includes exhibition stands and equipment, UK manufactured homeware, building materials and mixed groceries.